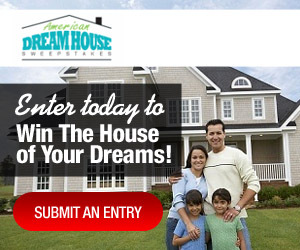 Enter to Win $2000 a Month for Life in the American Dream House Sweepstakes! Wow, enter the American Dream House Sweepstakes for a chance to win $2000 a month for life to pay to pay for the mortgage or purchase of your dream house! The contest rules state this "On or about March 17, 2012" as the end date. ?? ?